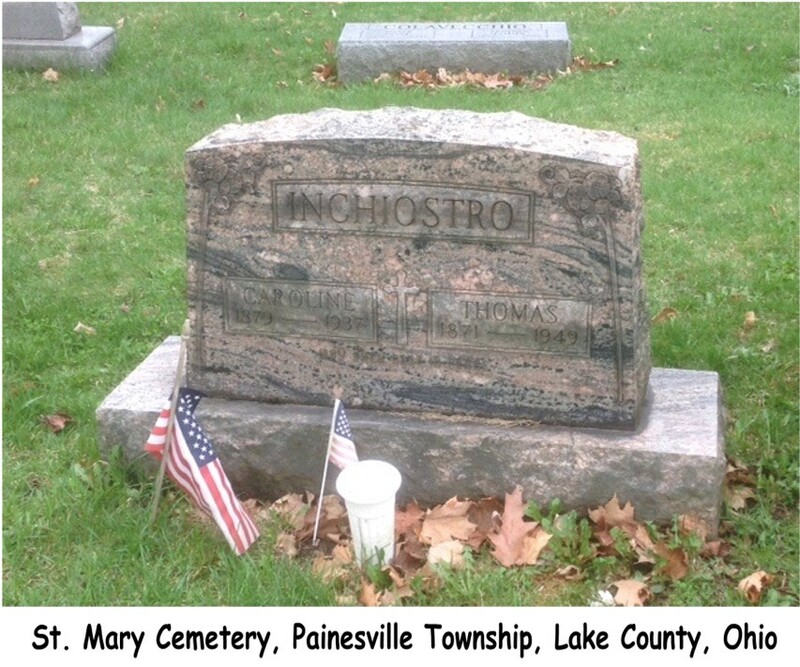 Gaetano Inchiostro and his wife, Concetta Barbera, first appear in the Painesville, Ohio, area in 1913 or 1914. 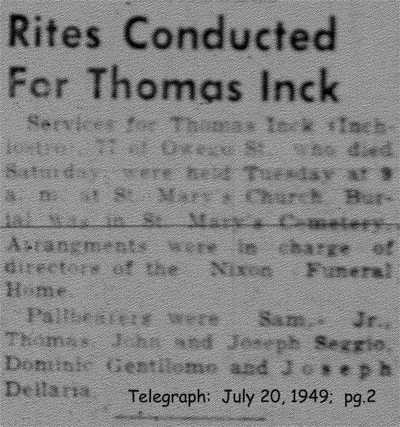 In America, Gaetano Inchiostro was known as Thomas Inchiostro. Gaetano Inchiostro, son of Giocchino and Giovanna Inchiostro, was born on October 25, 1871, at Caltagirone, Sicily. He married Concetta Barbera, daughter of Salvatore Barbera and Maria Seggio, in 1900 at Italy. 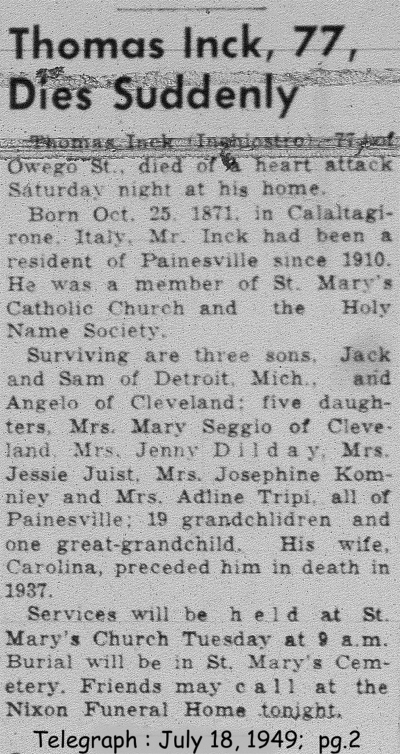 Gaetano died on July 16, 1949, at his home 349 Owego Street, Painesville, Lake County, Ohio, at age 77, of a coronary thrombosis. His body was interred at St. Mary Cemetery at Painesville Township, Lake County, Ohio. 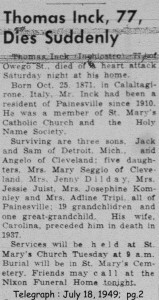 Gaetano Inchiostro, age 38, immigrated to the United States on July 4, 1910.